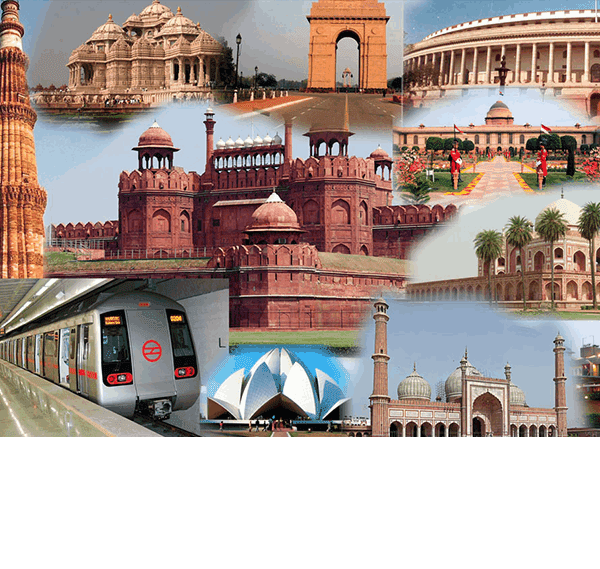 Planning to explore all the tourist monuments, markets, popular attractions in Delhi? Then Heritage Cabs is available at your service. Heritage Cabs is one of the leading tourist taxi firms in Delhi, along with Agra, Jaipur and many cities of Rajasthan. Along with our taxi service, we also offer Tourist Bus and Tempo traveller for groups. The above fare are for sedan cars like Suzuki Dzire. All these sites (except Rajpath) entry is from 9 am to 5 pm, and thus you need 8 hours to visit them all. Here we suggest starting the tour by 9 am and visit those sites first where entry is until 5 or 5:30 pm. The tour fare is Rs 2400 all inclusive of tax and parking in a sedan car. 1.Visiting all tourist sites in tour 1 & 2. 2.More attractions like Lodhi Garden, etc. 3.Plan some shopping at New & Old Delhi. The fare for two days tour is Rs 4000 for 8 hour tour per day. You can extend the tour after 8 hours by paying Rs 200 per extra hour.